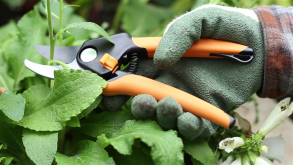 Weeding your garden requires knowledge and proper tools. Watch this clip to find out what the experts recommend to keep your garden free of weeds and looking great. Featured in this segment is the owner of Zabka Images who are experts in garden service, maintenance and landscape design. Zabka Images have a team of experts lead by Jana Vizdal who can take your vision and make your garden come to life. You can find out more about Jana by email [email protected] or find more videos on how to care for your lawn and garden on www.lifestylevideos.com/home.